Bespoke, cedar clad, residential building. 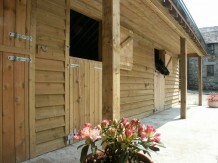 This combination building has two car parking ports, office buildings above and to the back and two stables. These two buildings were built to provide toilet and shower facilities for a local campsite. Timber frame house, rendered finish outside and timber clad inside with a double height living space and mezzanine sleeping platform. 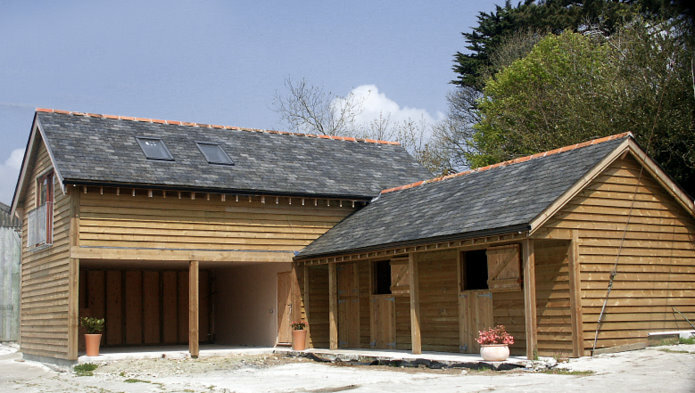 A timber frame house with larch cladding, situated in a remote location on Bodmin Moor. Signup to our newsletter to find out about our special offers and news. We’ll see your building from planning right through to the completed build. Thinking of building your own building? Our consultancy service takes care of all of the paperwork. Click here to view our garden cabins, summer houses and verandas. We work hard to ensure that we only use authorised timber from well-managed forests. Wood is at the heart of our business so we run our company at the most sustainable level possible.